Even though many would agree that the best artist of Renaissance Florence was Michelangelo Buonarroti, nobody like Leonardo Da Vinci better represents the “man of the Renaissance”. He was not just an artist: his interest in any branch of knowledge is the perfect example of the re-birth of culture that determined the end of the Middle Ages. Leonardo was born in Vinci on April 15, 1452. He will be a painter, sculptor, architect, engineer, mathematician, musician, anatomist, writer, or the most versatile genius of all time. In 1469 the family, and Leonardo Da Vinci with it, moved to Florence and the young artist became part of Andrea del Verrocchio’s workshop where he remained for eight years, learning the art of drawing, the use of perspective and anatomy. 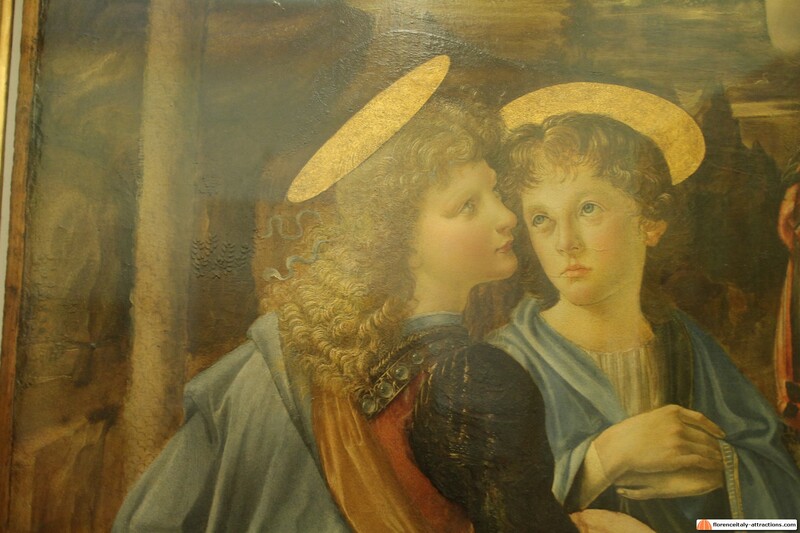 This is well attested in his participation in the Baptism of Christ by Verrocchio, where he made one of the angels with great compositional skill and balance. 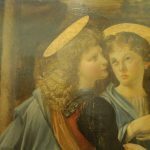 Moreover, in one of his first achievements, the Annunciation of Monteoliveto painted between 1475 and 1478, today at the Uffizi Gallery in Florence, we have an amazing color quality and above all a careful study of the natural details. Skilled in drawing, this quality of Leonardo da Vinci is evident in two works started in 1482 and left unfinished: St. Jerome and the Adoration of the Magi. In the latter, remained unfinished for his departure to Milan, Leonardo Da Vinci interprets the subject in a new way: around the figure of the Virgin and Child is a gesticulating crowd that suggests the emotion to the sacred event. Still related to the Florentine period is the Portrait of Ginevra Benci, whose face is outlined by delicate chiaroscuro effects while the background is characterized by a landscape of water and plants. Leonardo da Vinci arrived in Milan in 1482 and remained there for sixteen years in the service of Duke Ludovico il Moro, busy in various fields of science and arts, mainly painting. In fact, here he created very important works including the Virgin of the Rocks which sets the characters in an almost unreal, shady place and closed by large rocks with light barely filtering: the atmosphere is so masterful thanks to its particular technical sfumato which is one of the characteristic features of his art. 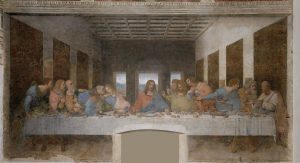 Leonardo da Vinci painted many other works including the Lady with an Ermine of Krakow, the Portrait of a Lady of the Louvre, but the masterpiece of the activity in Milan is considered the Last Supper dated around 1495-1497 in the refectory of the convent of Santa Maria delle Grazie. The subject is treated in an innovative way, representing the moment when Christ announces that he will be betrayed. In his Treaty on painting Leonardo da Vinci writes: “the good painter has to paint two main things, the man and his mind. The first is easy, the second difficult to figure out because it has to be represented with gestures and movements”. In the Last Supper, Leonardo da Vinci realized in full this idea, representing Christ as the center of the composition, around which the Apostles are distributed in different attitudes that reveal their thoughts and their emotions. 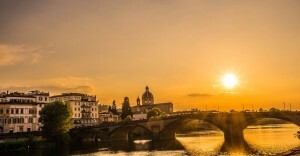 In 1499 Ludovico il Moro fled from Milan, after the invasion of the duchy by the French, and Leonardo da Vinci began a series of trips, went to Mantua, Venice, and then returned to Florence. Here he was commissioned a fresco for the hall of the 500 in Palazzo Vecchio representing the Battle of Anghiari, which was in competition with Michelangelo fresco on the opposite wall of the same room: the Battle of Cascina. Unfortunately, the painting is lost. In these years he also began the famous portrait of the Mona Lisa, a painting dear to him who brought with him to France, where it remains today, in the Louvre Museum. 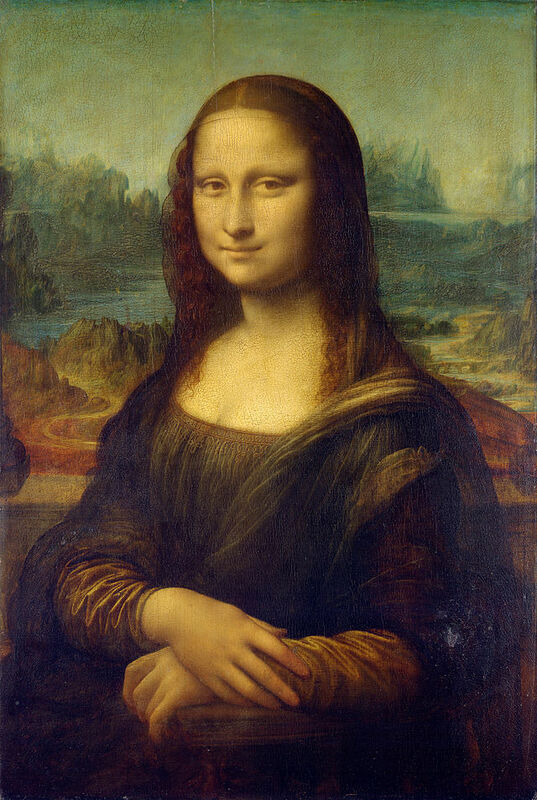 The portrait of a Florentine gentlewoman, identified as Monna Lisa del Giocondo, represented a half-length and three-quarters in the background of a rocky landscape with two lakes placed on different levels. The evocative atmosphere and the feeling of melancholy that evoked by both the landscape and the figure is accentuated by the use of Leonardo Da Vinci’s sfumato. 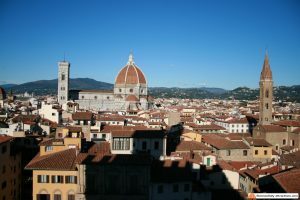 In 1506 he went back to Milan, alternating his stay with short trips to Florence. His last works are St. Anne with Madonna and Child, of which he had already prepared a cardboard in 1501 and the St. John the Baptist. In St. Anne with Madonna and Child Leonardo Da Vinci represents the characters in a pyramidal composition whose apex is the face of St. Anne, the background is again represented by a rocky landscape in the distance. In 1516 Leonardo Da Vinci accepted the invitation of the King of France and went to Amboise, where he spent the last years of his life and where he died May 2, 1519. Throughout his life, Leonardo da Vinci designed and studied hydraulic structures, dynamics of flight, anatomy and war instruments. His entire work looks like a forecast of the subsequent evolution of science and technology. 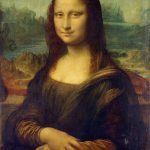 Even from a literary point of view, the prose of Leonardo da Vinci was a lively example of new writing style, modern and full of syntactic discoveries.